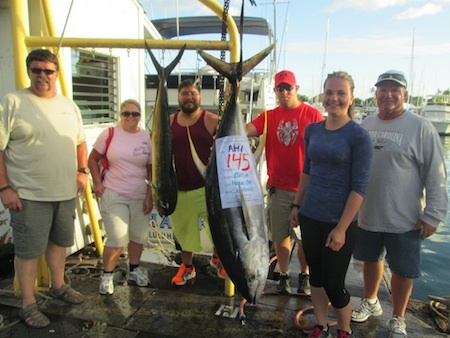 Congratulations to David on hauling in this nice 165 lb Ahi on the Sea Hawk. Great work and Aloha! Great job Brian! 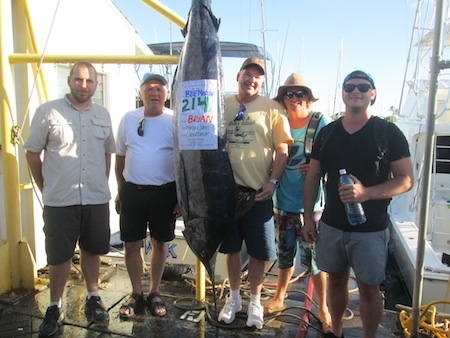 He hauled in this nice Blue Marlin while deep sea fishing aboard the Sea Hawk! Aloha! Jerry, Mike and Norma with their catch! 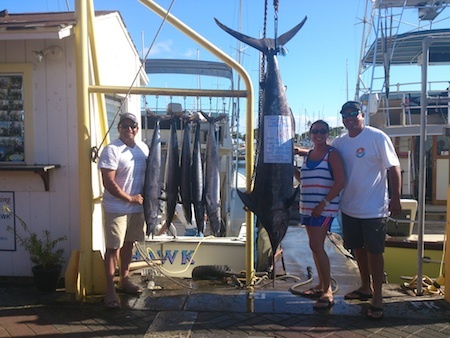 Big Mahalo to Jerry, Mike and Norma for choosing Maggie Joe Sport Fishing! 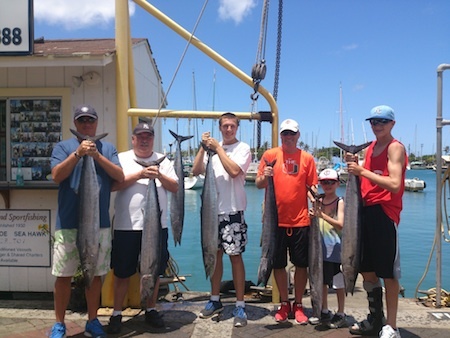 They hauled in this nice Blue Marlin and 4 Ono and 1 Mahi Mahi while deep sea fishing off Honolulu, Oahu. Aloha! 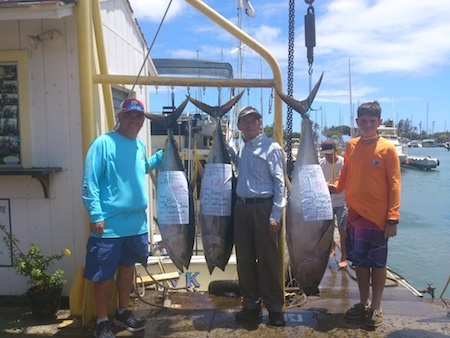 Bill, William and Peter with 3 Ahi! 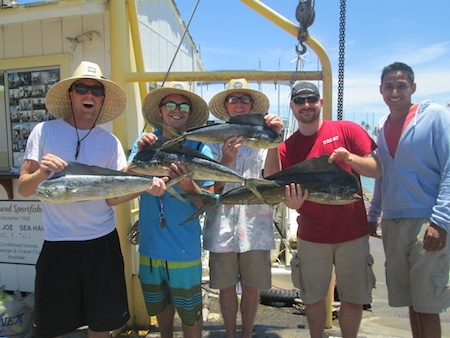 Nice catch aboard the Sea Hawk! 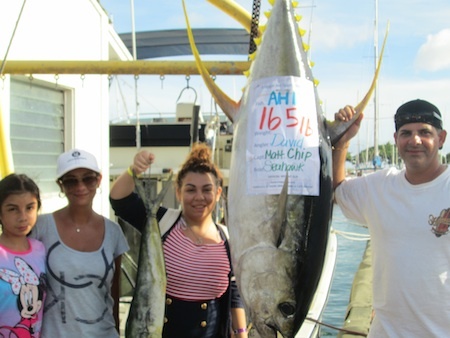 3 Ahi caught while deep sea fishing off Honolulu, Oahu. Aloha! 7 Ono on the Ruckus!